Stream project this Saturday, Aug 23. As always, volunteers are needed. This project is on Bogg's Creek and Tailwater is the lead on this one. We are a supporting chapter on this. This is a tributary of Chestatee and has been a work in progress since the tornado ripped that area up a few years back. Be sure to bring some old clothes, boots and gloves. We will meet at Boggs Creek at 9:00am on Saturday the 23th of August. 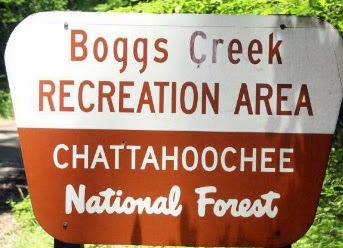 Boggs Creek is located about 15 miles north of Dahlonega on Hwy 129. Look for a small brown and white FS signs on the side of the road. According to Jim Wentworth the worksite is "about 1 mile from Hwy 129 just before the closed gate". We will work from about 9:00am to until around 1:00pm.